WHY GO: Whose official motto remains “Duty, Honor, County”? Hint: It’s the same institution that upholds its unofficial motto “Sink Navy” – our country’s preeminent military academy, West Point. And yes, you can tour this Revolutionary War stronghold and actually stay, in relative luxury, on base. This Getaway includes an often ignored, but incredible Hudson River-set State Park and one of the country’s largest outdoor sculpture museum, for a few days of patriot games, art, and Hudson Valley vistas so sublime, they sparked a whole School of Art. Read on for one of the most Patriotic Getaways on the East Coast of the USA. 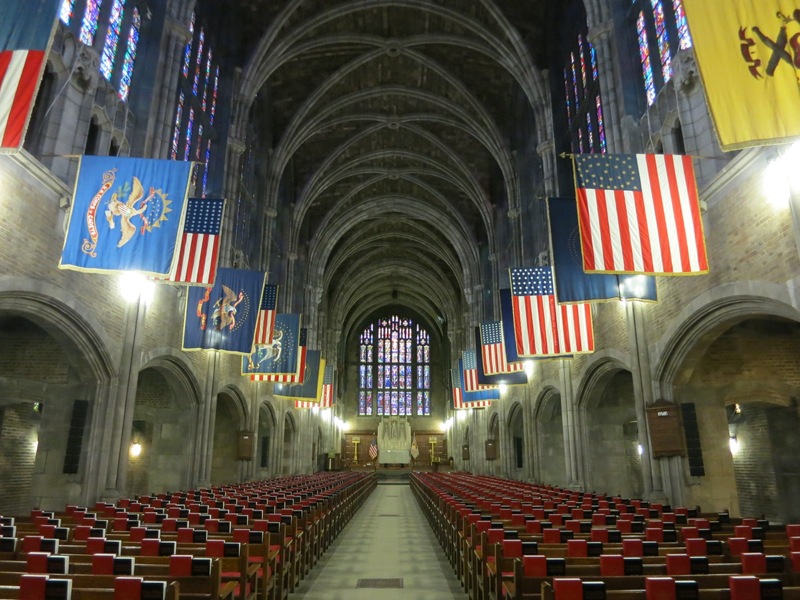 TOUR: United States Military Academy at West Point. Civilians are allowed a sanctioned peek at cadet life on one and two hour Coach bus tours through the ever-growing West Point campus. It’s the only way that a non-family civilian can get on base, actually. West Point is the oldest garrisoned military post in the United States – constructed in 1778 at this strategic bend in the Hudson River. In 1802, when Thomas Jefferson was president, West Point became a military training academy. Begin at the Visitor’s Center – aka the “Pershing Center” named for Black Jack Pershing, the only six-star general in the US Army – just outside the FIRST Main Gate of the USMA. As you wait for your bus, you’ll discover the criteria to matriculate here. An applicant must obtain nominations from a Congressman, Senator, the Vice President or President, be Academically, Medically and Physically fit and between 17 and 23 years old on his or her first day of class. Among several exhibits, there’s a replica of a Cadet’s room, a concrete canoe from an annual engineering contest, and other examples of life at the US Military Academy. Day one, plebes are considered enlisted men and women, and subject to “The Beast,” a 6-week boot camp that makes Tough Mudder seem like a skip in the park. If a cadet can withstand the physical and academic rigor, he or she graduates after four years as a Second Lieutenant in the US Army. With free tuition comes great responsibility: alumni must serve at least five years and another three in the Army Reserves. Since the early 1800’s over 70,000 cadets have graduated as part of the Long Grey Line. You’ll need some form of picture ID to board the bus and get through two layers of security – the first, a Gothic-style gatehouse that was a gift from the Class of ’43. Guides are lively and knowledgeable, with lots of human-interest anecdotes and quirky trivia. For example, “Stormin’” Norman Schwarzkopf sang in the choir, General George Patton was most likely learning disabled and struggled academically, and General Eisenhower was a prankster and class clown. There are two stops: one at the remarkable non-denominational Protestant “Wedding Factory” Cadet Chapel. While in school, cadets are not permitted to marry, and so the day after graduation, there’s a rush to the alter. You also stop for the “Million Dollar View” of the Hudson and Constitution Island. During the Revolutionary War, an enormous chain was stretched across the Hudson River as a way to prevent British war ships from reaching our fledgling nation’s stronghold. You can see all that remains of this “Great Chain” near the stop: thirteen links out of its original 1,700-ft. Tours run daily throughout the year. $14 for one hour tour, $16 for 2 hour tour. All leave from the West Point Visitor’s Center. Consult the website for schedule. VISIT: West Point Museum. For history buffs interested in the chronicles of the United States army or the annals of arms and warfare, the West Point Museum, right behind the Visitor’s Center, first opened in 1854, is second to none. Within a fortress-like building, a formidable display of weaponry – from tomahawks to atomic bombs (exhibited live and in person) is featured throughout several floors along with photos and artifacts from the world’s great battles. Whether you’ve got a ROTC leader or a draft-dodger living under your roof, a working knowledge of our military past and present can add scholarship to any debate. Open daily 10:30am-4:15pm, free. 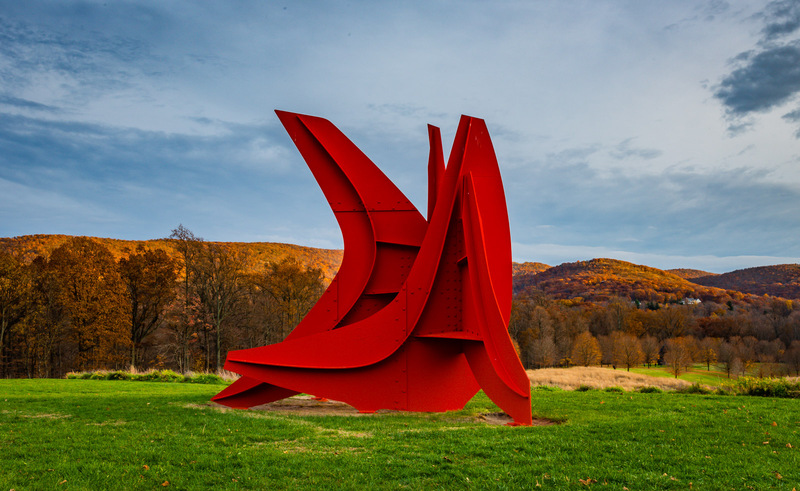 Alexander Calder’s Five Swords cuts a crimson slash against the colorful backdrop of peak fall foliage in the Hudson Highlands . TOUR: Storm King Art Center. Billed as “American’s leading outdoor sculpture museum”, this undulating 500-acre expanse of lawn highlights massive masterworks in every conceivable material known to be impervious to the elements. You must be in decent shape to hike up and down hills dotted with 120 large-scale abstract sculptures, though you can jump on a tram that runs every 20 minutes. Alternately, you can rent a bicycle (first come, first served) for $8 per hour (minimum 2 hours). See Getaway Mavens Photos Here. Open April-November, $12. VISIT: Bear Mountain State Park. Often overlooked, this gem of a park just fifty miles north of New York City has been a harried city-dweller’s diversion for a hundred years. 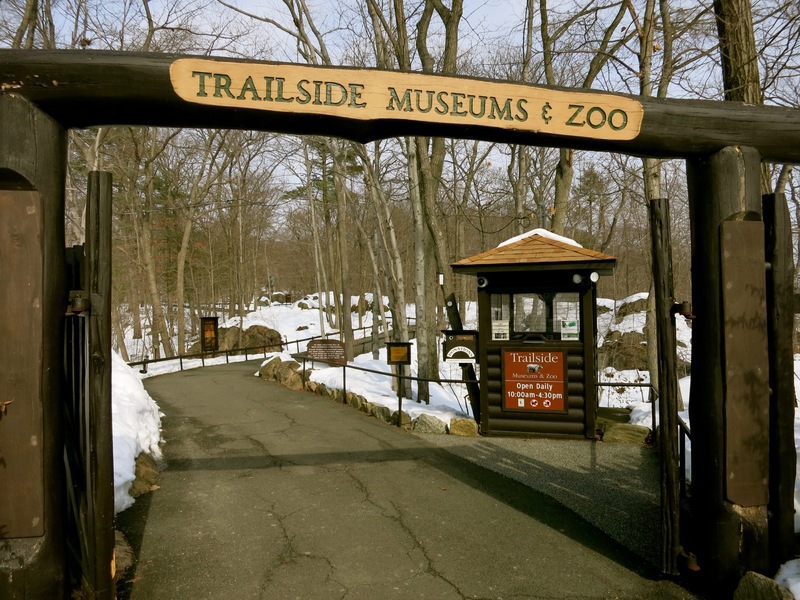 I just adore the Trailside Museums and Zoo, arrayed along a mile plus long paved path a short stroll from the Bear Mountain Inn. Bite-sized rock-pile craft buildings showcase local natural and historical artifacts. Caged Red Fox, Coyote, owls and a Bald Eagle in various stages of rehabilitation engage me in staring contests (they win). But what makes this one of my absolute favorite spots is its location – at the Western foot of the Bear Mountain Bridge with stunning views of the Hudson River. There is no other zoo like it. Even in inclement weather, head to the enclosed Carousel and ride on a bobcat, fox, raccoon or other creatures indigenous to the park system for a mere $1 per ride. Park open year round 8am-sunset. Fee for pool, paddleboats, skating. Trailside Museums open 10-4:30 daily. Free. 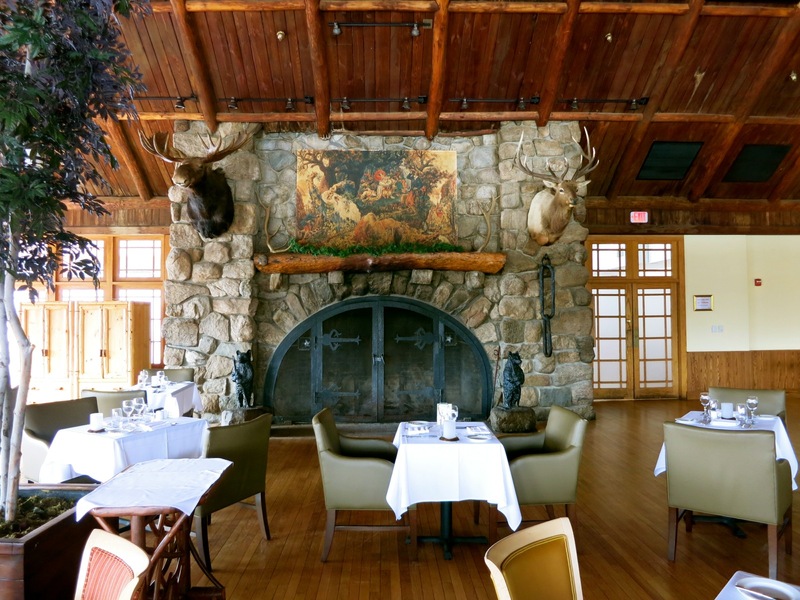 EAT: Restaurant 1915 at Bear Mountain Inn. Featuring the original massive walk-in fireplace, mounted moose and buck heads, original rather gaudy (but very beloved) oil painting of Rip Van Winkle, and Arts and Crafts style chandeliers, foodies are already (re)discovering this place. CIA-grad Chef Michael Matarazzo has been winning culinary awards just months after opening. EAT: MacArthur’s Restaurant at Thayer Hotel. Food is fine, and the service wonderful if you get a “Five-Star Employee” like Sandy. She will keep you company, make recommendations, and see to your culinary needs. 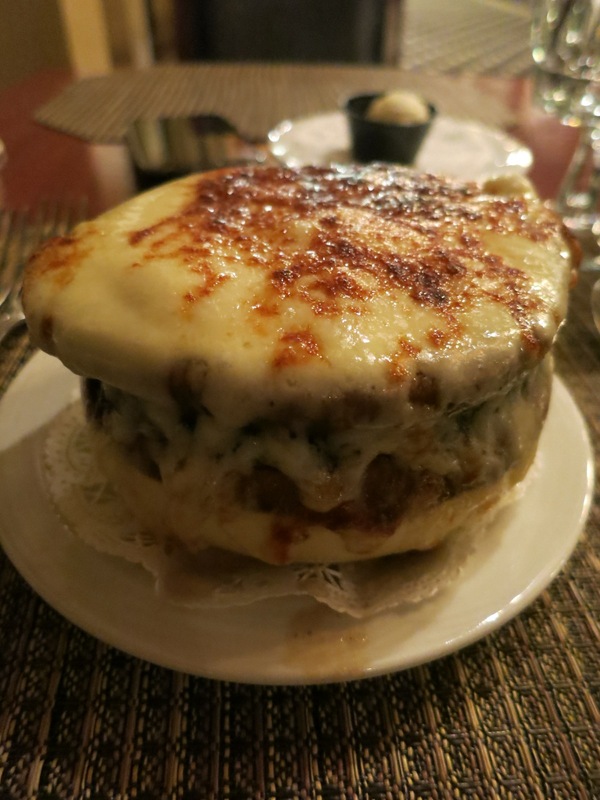 Sandy recommended the French Onion Soup ($7) – and now I will as well. Blistered, deeply rich and tasty, it is a meal in itself. STAY: Thayer Hotel, West Point. 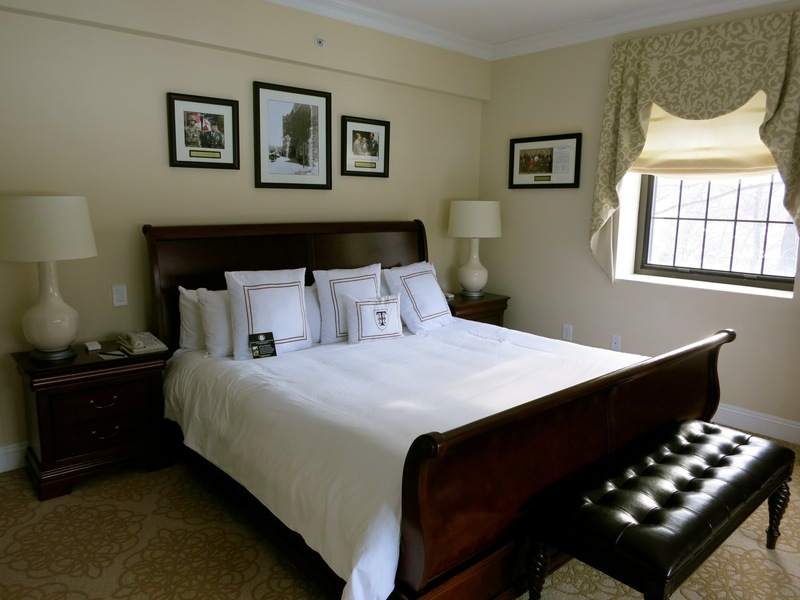 Perched like a fortress just inside the West Point gate, the Thayer allows past, present or future army officers – and curious civilians – the chance to bunk down in luxury. 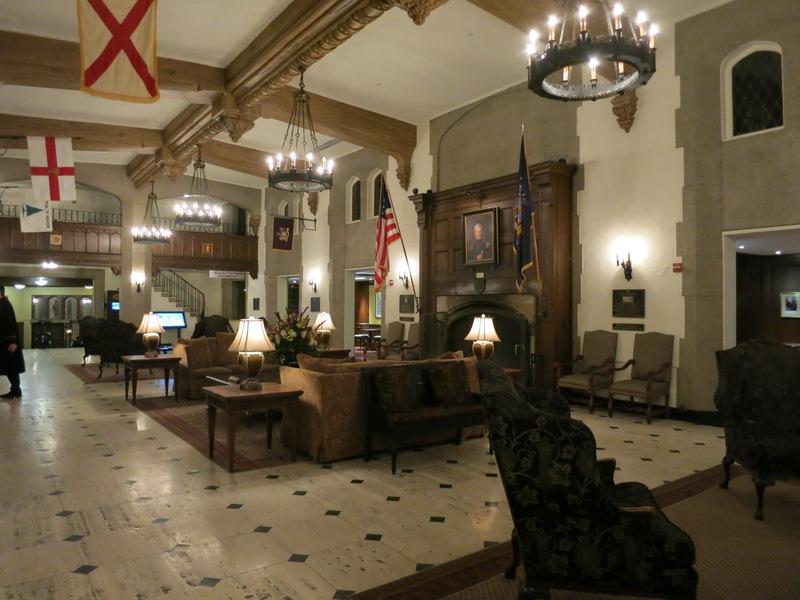 Several years ago, a group of West Point grads chose to purchase this hotel from the government, turning it into lodging that reflects the standards of the Academy. The effect is understated luxury and an upscale hotel experience. But, there are quirks galore! Where else will you see clocks set to Baghdad and Kabul time behind a reception desk? 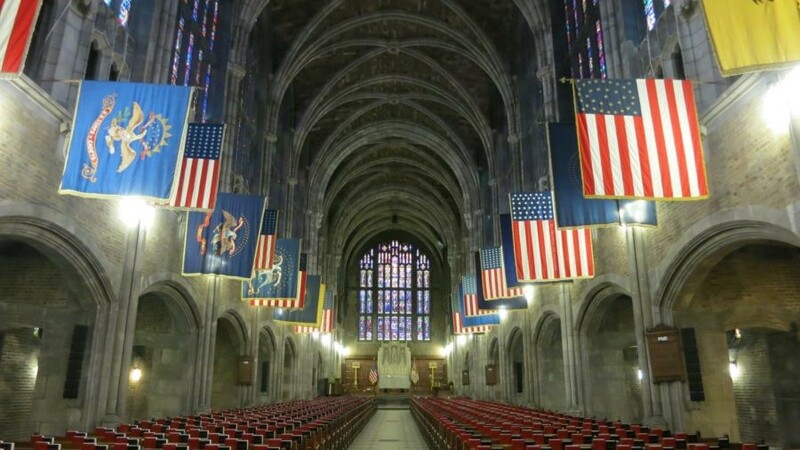 Or rooms dedicated to astronauts, commandants, Major Generals and other West Point notables. What other hotel boasts pictures of Collin Powell, George Bushes, the Clintons and other US Presidents in each room? Already, 30 rooms have been “Dedicated,” (mostly to West Point dignitaries, but at least one to Army Baseball) with about 120 to go. Dining rooms and the new Rooftop Lounge offer unobstructed views of the Hudson River and Valley. On warm summer evenings, see boats ply the Hudson – or a wicked game of woman’s softball – from your window. Spring for a luxury Executive Suite – two rooms in subtle silvers and golds afford you an ironically “peaceful” night, considering we are on an Army base. 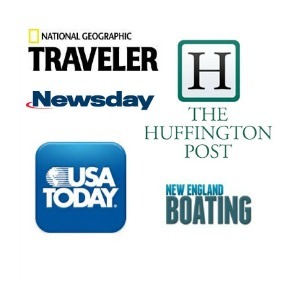 Rates range from $119-$509 per night depending on room size and time of year. 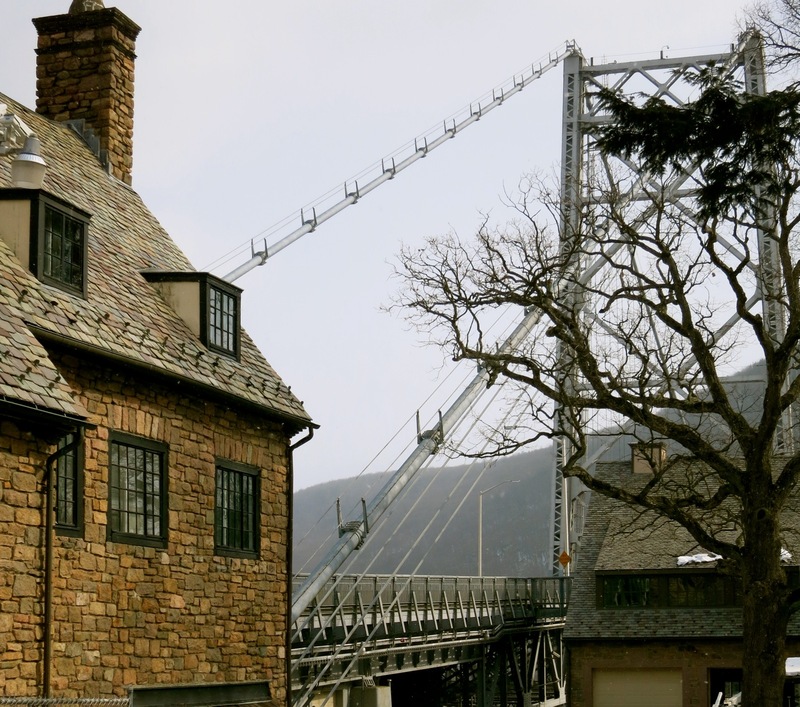 STAY: Bear Mountain Inn, Bear Mountain State Park. Originally constructed as an open-air pavilion in 1915 (and celebrating its 100th anniversary next year), the upgraded Bear Mountain Inn began operating as a rustic hotel in the 1940’s for city slickers in search of bears (at the Trailside Museum and Zoo) and wilderness experiences on five thousand Hudson Riverside acres. When lodge rooms became a bit too rustic, the beloved Inn closed for renovations, and has been resurrected as a Mountainside-Luxe establishment. 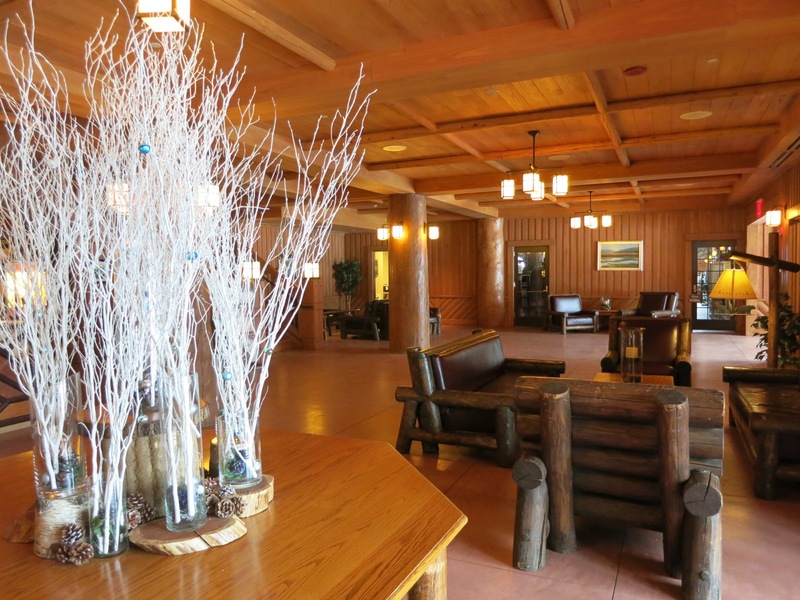 Guests who stayed here as kids, however, will recognize timber benches and seating handcrafted by park workers in the 1920’s and preserved in the Inn’s lobby. Plaid blankets, log-pole furniture, leather and carved-wood seating and granite and marble bathrooms in woodland hues speak to a change in camping getaway styles and expectations. Rates $159-$229 per night.